We’re always fascinated by history. Once, long before our distillery would ever begin production of whiskey, elevators were built on the site. After the elevator manufacturer left, Vermont American set up shop and started building tools. Then for about 30 years after they left, nothing much happened in the shuttered old factory. We’re very happy to be changing that. Today, our main building is connected to smaller buildings in the back, and in the process, we’ve captured a tiny, very strange piece of Louisville history. 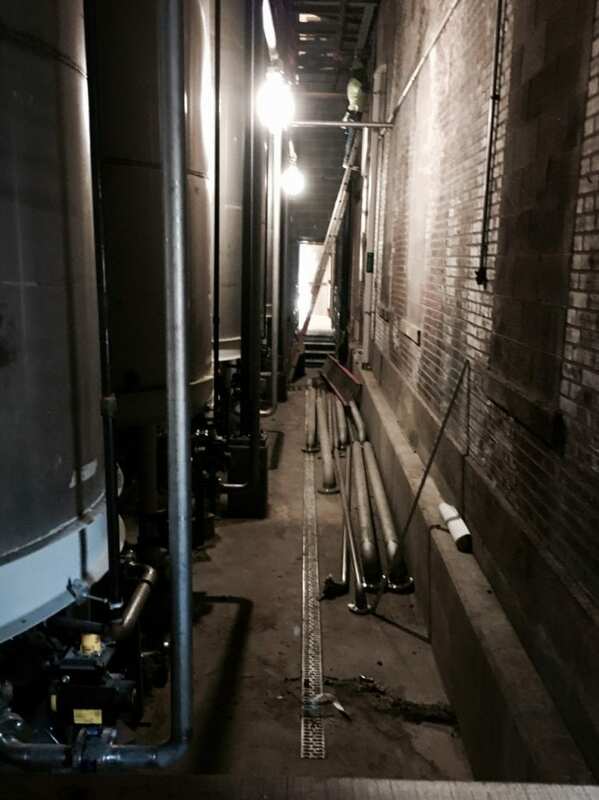 That’s right, our bourbon tanks are now housed in our very own little stretch of Billy Goat Strut Alley. Billy Goat Strut Alley during construction of the distillery. In the early 1800s, Louisville’s population was beginning to boom. 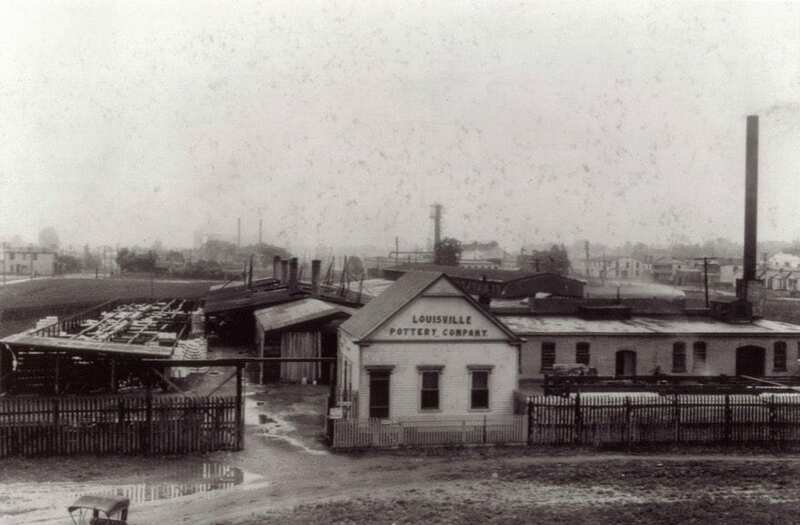 Following the War of 1812, Louisville started producing enormous quantities of pottery to supply settlers heading west. Jacob Lewis established Lewis Pottery in 1815, which also shared a border with Billy Goat Strut Alley. Even at that time, the alley was known for one thing: racing. It should be no great surprise that racing has always been in Kentucky’s blood. But while Churchill downs officially opened in 1875, Louisville had a much older and stranger racing tradition: goat racing. Two alleys ran parallel to Main Street: Billy Goat Strut to the north and Nanny Goat Strut to the south. Each alley featured races featuring their respective namesakes. So why goat racing? No idea, really, but it must have been a hell of a thing to see. Before advances in hydraulic engineering, the Ohio River was only navigable for about five months a year during the high-water periods of the Spring and Fall. During the low months, there were 22-foot-high falls. This meant that a lot of settlers, merchants, gamblers, prostitutes and travelers spent a lot of time in Louisville waiting for the river to rise so they could continue westward. Needless to say, any pastime, especially one as entertaining as watching stubborn goats race, would have been a welcome diversion. Spectators would line the alley to cheer on their wagers, and that’s how Billy Goat Strut earned its name. We’re not sure when the practice fell off, but we’re proud to shelter a little sliver of Louisville’s weird history within our distillery.